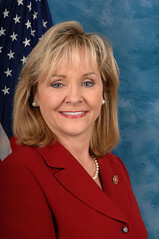 The anti-education agenda of some Oklahoma leaders can’t get more apparent than last week when U.S. Rep. Mary Fallin, the Republican nominee for governor, and U.S. Sen. Tom Coburn explained their opposition to a federal bill that would provide emergency funding to the nation’s schools. According to recent media reports over the last several weeks, hundreds of Oklahoma teachers face layoffs this fall because of the state’s ongoing budget crisis. The federal bill, which passed the Senate Thursday, will provide $10 billion to school districts nationwide and another $16 billion for Medicaid funding. Those who pushed the bill through the Senate-and it’s expected to pass the House this week-say the bill could save the jobs of about 300,000 teachers nationwide. Oklahoma could save 1,900 teaching jobs if the bill is signed into law, according to a published media report. In a major disconnect, Coburn took the opportunity of the bill’s passing to blast, of all things, State Question 744, a constitutional amendment, which if passed in November, would simply require Oklahoma to fund education at a regional level. Let’s be clear: SQ 744 could never lead to deficit spending, which is Coburn’s big rant in Washington these days. The state is required to balance its budget. Nowhere does the U.S. Constitution give Congress the authority to be responsible for teacher pay in Oklahoma. Teacher pay is a state and local function that should be performed at the state and local level. I’m unsure what Coburn actually means here. Maybe Casteel didn’t put the comments in the appropriate context. The federal bill does not set teacher salaries or make the federal government “responsible” for them, and SQ 744, which Coburn criticizes, will obviously be “performed at the state and local level” through a direct vote. Coburn is disingenuously trying to conflate the federal bill and SQ 744 under the broader rubric of criticizing the National Education Association (NEA), which is a red herring argument. The bottom line is this: Coburn apparently wants to ensure the state continues to fund schools at the lowest rate in a seven-state region and 49th in the country. He also obviously doesn’t care that teacher layoffs could lead to even larger class sizes in the state’s public schools. If this is not the case, they why won’t he address the specific issues? Also, it’s telling Coburn made his comments after a recent polling showed 65 percent of Oklahomans now favor SQ 744. His comments can only be truly understood in the context of the panic-stricken anti-744 echo chamber. I am opposed to such a plan for the same reason I have opposed other big spending measures supported by congressional liberals: we cannot keep printing and borrowing money and calling it ‘stimulus.’ I think most Oklahomans understand that we aren’t saving or creating jobs when we do this, we are burying our children under a mountain of debt. I am committed to the strength and security of our nation for our children, grandchildren and generations to come. I am relieved Democrat leadership in Congress finally put their ideological differences aside to allow House consideration of a responsible version of this important funding bill. So Fallin supports billions for war but no extra funding for local schools, and she wants to be governor. She could help save 1,900 state teaching jobs but declines to do so. Is this the type of leadership Oklahomans want? Note there’s no critique from Fallin about the war supplemental as a “big spending measure” even though both the Iraq and Afghanistan military operations, which have dragged on for years with no clear results, have helped create the current federal deficit. But, well, I guess Fallin cares about the security of “our children” even if that doesn’t happen to include providing them with an adequate education. Meanwhile, The Oklahoman, the state’s extremist newspaper, published two editorials this week criticizing SQ 744. One editorial demonized the NEA for supporting the measure. (Note how Coburn’s comments echoed the editorial.) The other editorial was a juvenile attempt to deal with the concept of “average,” as in average funding for schools and the average number of counties, the average tax rate and the average number of school districts, etc. The editorials don’t make much sense because the newspaper, along with Coburn and Fallin, refuses to deal with the main issue. Funding for Oklahoma school children is horrendously low compared to regional and national averages, and no amount of rhetorical subterfuge-demonization, red herring arguments, false comparisons, echo chambers-can ever begin to qualify it. « On Organized Fearmongering Revealed, Or, "Lock Up The Kids…It's The Gay!" Please, stop reposting on BlueOklahoma what we can find on your website. BlueOklahoma should not be your echo. You rant and rave about The Oklahoman not giving progressives a voice yet you have treated this Oklahoma-wide website as your own exclusive domain. I think that was a legitimate question.